Shoals Marine Laboratory seeks a motivated research intern to collect and process data on fish and seabird plastic ingestion. Fish from seabird discard, regurgitate, chicks, and from fish sampling methods will be dissected to examine their stomach content for micro-plastics. This is a great opportunity to contribute to a complex data set on a global conservation issue as well as learn basic, diet study techniques that can be applied to a variety of marine wildlife studies. 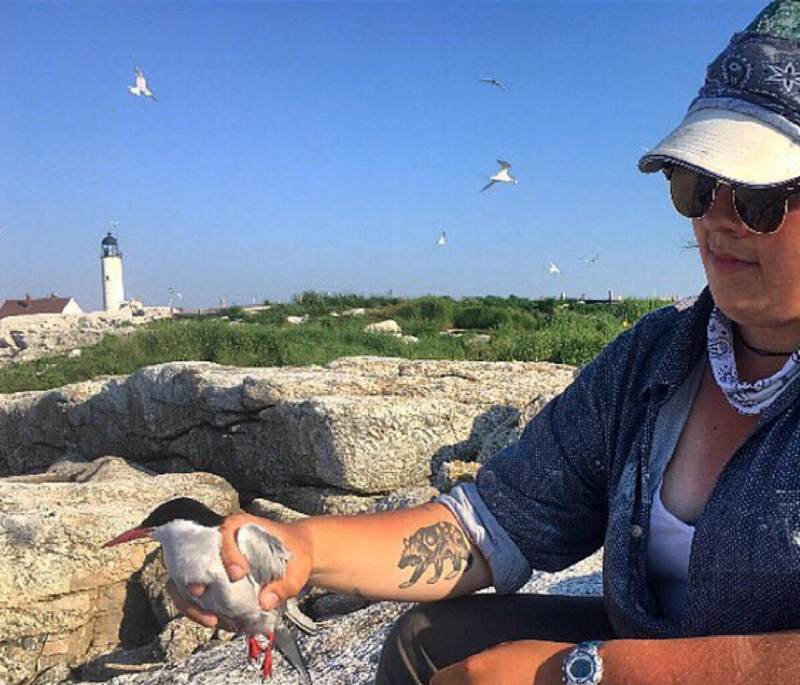 Interns will gain hands-on experience in both field collection methods and laboratory dissection techniques, how to distinguish seabird prey items, and assist in other volunteer opportunities related to ongoing seabird projects. Primary duties for the internship will include field collection, lab fish processing, and sorting natural and non-natural (ingested plastics) stomach contents for subsequent identification in a laboratory setting. Seabirds will be opportunistically dissected as well. This study will focus on several tern and gull species. The intern will be a part of the larger SML Research Internship cohort and will participate in weekly discussions and lectures. Appropriate coursework in wildlife ecology and/or ornithology preferred. Previous experience at SML is preferred, but not required. Relevant SML courses include: Field Ornithology, Field Animal Behavior, and the Shoals Research Apprenticeship. The 2019 application deadline has passed. Applicants should be prepared to upload (as separate files): cover letter, resume/CV, and unofficial transcripts. Request two letters of recommendation. At least one letter must be from a professor/faculty member. The second can be from a graduate student TA or employer. Undergraduates in all majors may apply. Priority is given to students who have previous SML experience.